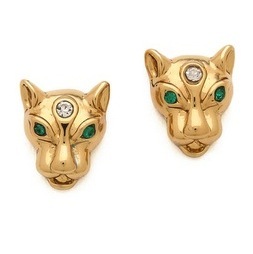 Juicy Couture earrings with leopard faces. Crystal eyes. Post closure.